Brogamats founder Dan Abramson initially got into yoga when he was recovering from a back injury. 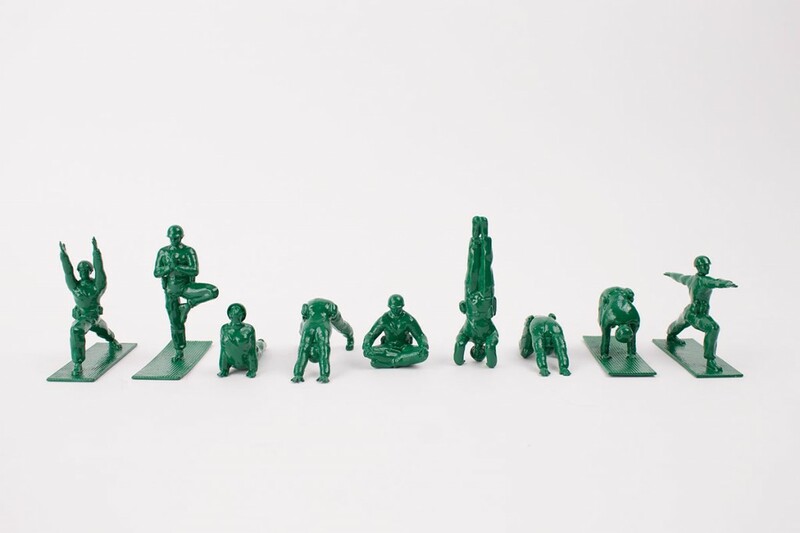 He noticed the market was lacking in yoga accessories that appealed to men, so he started his own company to fill the void. 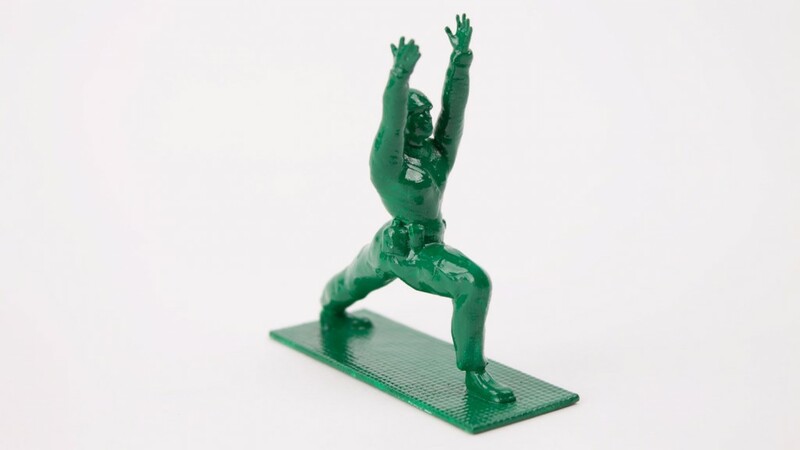 Now he is taking it a step further with Yoga Joes. 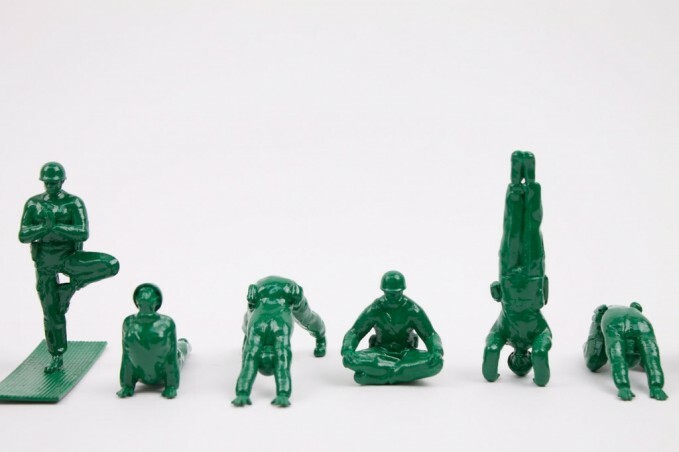 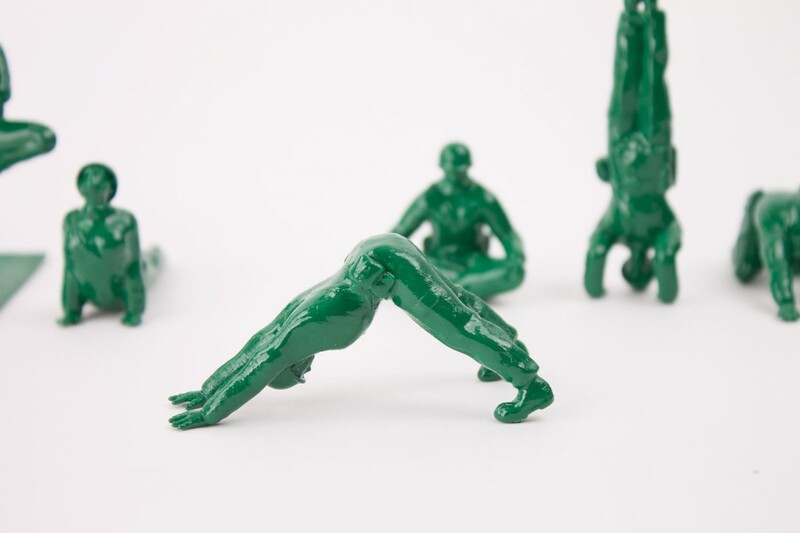 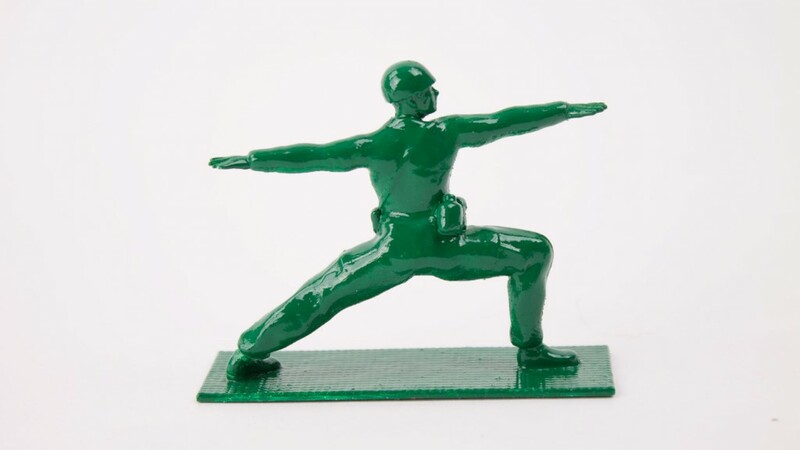 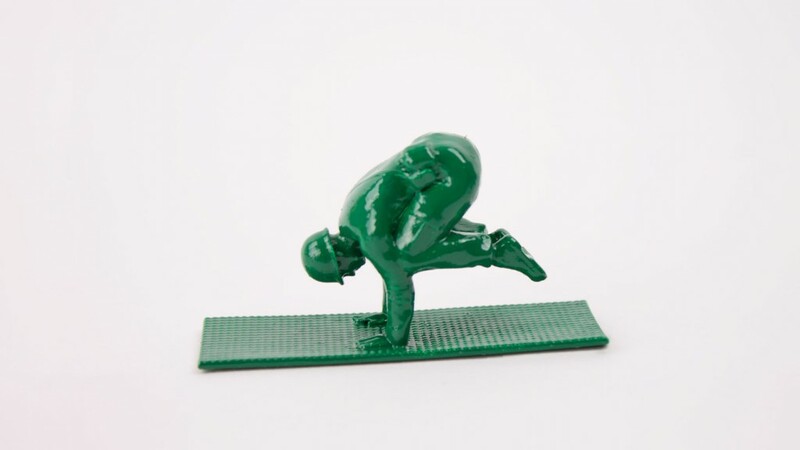 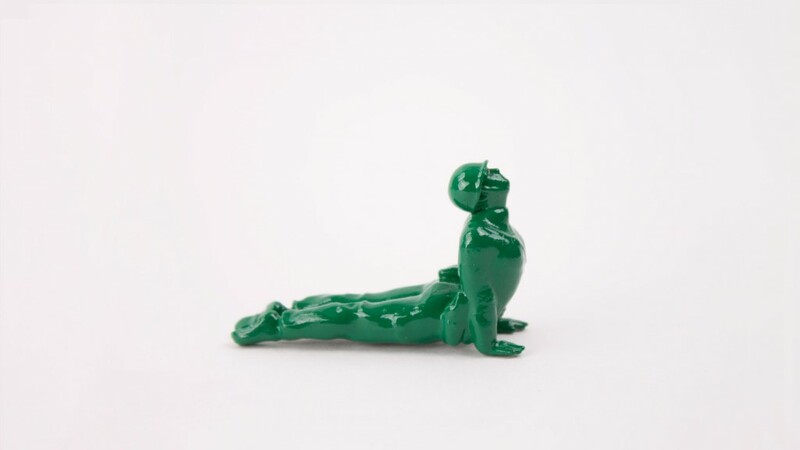 These are classic green army men toys with a bit of a twist, as they are setup in various yoga poses. 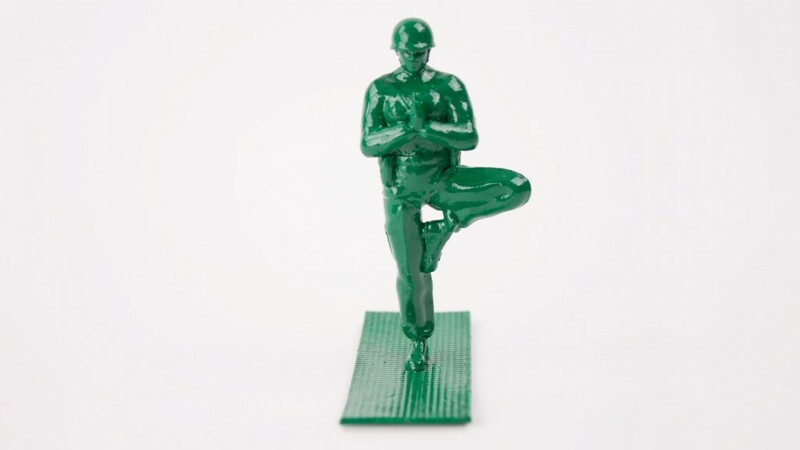 Abramson said that his reason for creating Yoga Joes was to inspire more men and members of the military to try out yoga; he also wanted to create a traditionally violent toy peaceful.